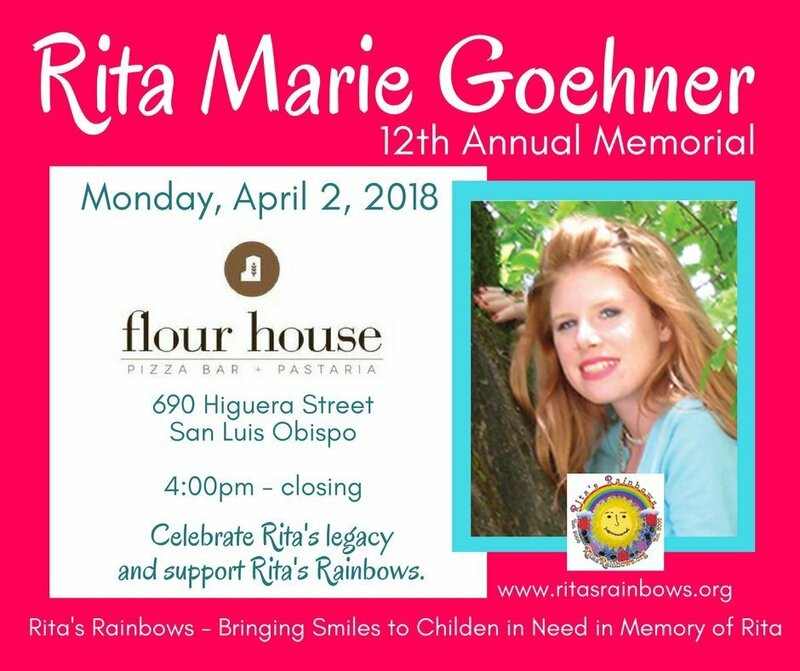 We invite you to join us for Rita’s Annual Memorial. Flour House, 690 Higuera Street, San Luis Obispo. Please join us as we embrace the memories of our sweet Rita and celebrate her legacy and dedication to help children in need. We extend our heartfelt thanks to Flour House owners, Alberto and Gessica Russo for hosting this event.